This was a project given to us by Ben, the owner and operator of BWH Services! 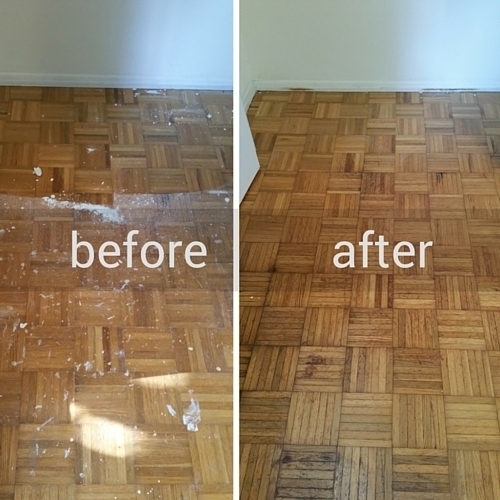 By utilizing the proper cleaning agent and process to carefully remove the paint without damaging the wood we were able to remove the paint completely! Our thorough process yields incredible results! These intricate and detailed wood floors were splattered with paint when we took on the project but were left in a paint free and shining state!